After months of speculation, it seems that the Mohamed Fahmy saga has come to an end. Fahmy, an Egyptian-born Canadian journalist, was charged with being a member of a terrorist organization (the Muslim Brotherhood), aiding and funding a terrorist group, broadcasting false news of civil strife in Egypt, and operating as a journalist without a proper license. His conviction by a Cairo court represents failures on several fronts. Since the rise of president Abdel Fattah El-Sissi to power in 2013, there was a large contingency of Egyptians welcoming his calls for a brutal crackdown on the Muslim Brotherhood. The political climate at the time made it somewhat of a necessity: with Egypt quickly being swept into the dangerous tide of Islamist ideologies and policies, many Egyptians sought to shake off any remnants of the Muslim Brotherhood at all costs. The result was a carte blanche given to El-Sissi and the Egyptian army to crack down fiercely on suspected Islamists, and to put an end to Egypt’s brief experiment with Islamist ideologies. However, in giving El-Sissi these wide powers, Egyptians failed to hold on to one valuable gain they had made in the uprisings of 2011: accountability. There were no political, legal or even constitutional mechanisms for accountability stipulated before El-Sissi was given reign over the country, and this resulted in a wide-ranging crackdown over the past two years that has been cleverly presented under the guise of “rule of law”. 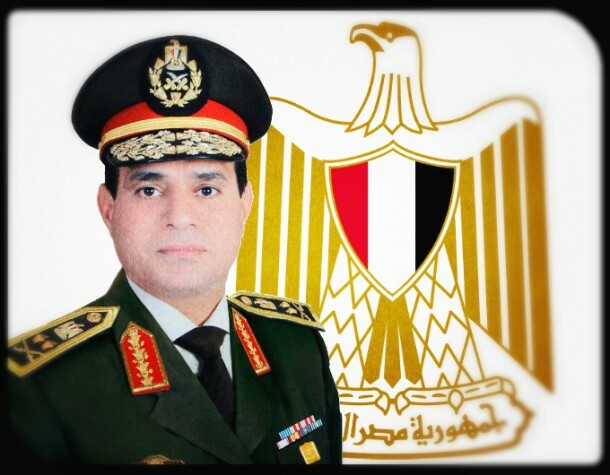 Egypt’s Sixth President, General Abdel Fatah El Sisi. Since assuming power in 2013, he has led a brutal crackdown on Muslim Brotherhood supporters and sympathizers in Egypt. This is certainly reflected in many of the statements being put out by the Egyptian government regarding the ruling against Fahmy (for example, see here). Instead of entrusting El-Sissi with the pre-existing mechanisms of the Egyptian state, the Egyptian people have allowed El-Sissi to operate a new kind of mega-state, armed with far more powers and conviction than any other administration before it. After several years at the helm, it should be easy to recognize that the current state of affairs in Egypt is not to be handled in the same way that these types of cases have been handled in the past. This case was a demonstration of the far-reaching new powers of the Egyptian state apparatuses: an unsympathetic and aggressive new government, a judiciary hell-bent on proving its authority to contribute to the Islamist crackdown, and the inability of any domestic or international power to intervene in this case. Looking at it from a strictly speaking Egyptian perspective, Mr. Fahmy was fighting a losing battle from day one. Diplomacy is not an easy thing to navigate. There is no “one size fits all” approach to international diplomacy, and there is never any guarantee to success. However, two of the most important elements of effective diplomatic relations are the need to be resourceful, and to have the backing of the political leadership. It is my opinion that Canada failed on these two fronts. Firstly, the Canadian political leadership has had a tepid relationship with the Egyptian government, which is mainly the result of an uncertain policy standing towards the new Egyptian government since General El-Sissi’s rise to power in 2013 (and his subsequent election in 2014). Normally, this would not have had a major effect, since Canada’s relationship with Egypt has not been as strong as, say, Egypt’s relationship with the United States. However, one cannot ignore the fact that the Canadian government failed to maintain a relationship with the new Egyptian government, while understanding the new political reality of the situation. One could say that the Canadian government simply did not like the fact that things are not the way they used to be, and refused to take part in maintaining that relationship. That failure was a key component of why Egypt was able to lock Fahmy away in the first place, without even batting an eye. Secondly, the inability to adapt and be resourceful in solving problems was a key failure on the ground. Although news reports indicate that Canadian officials in Cairo were in constant communication with Egyptian authorities, there is no evidence to suggest that there was anything more than “constant communication”. 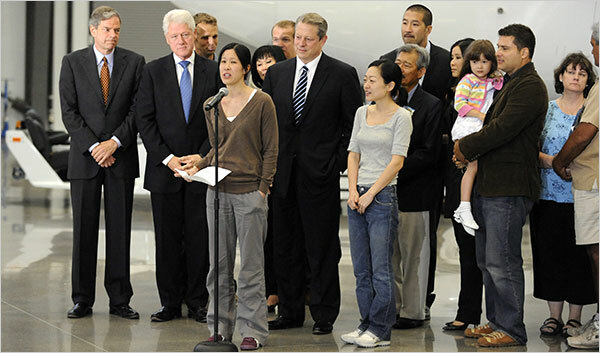 For example, there was no indication that they attempted to access other diplomatic channels in order to resolve this problem, or seek out the assistance of high-profile Canadian officials who have an ability to break through to the Egyptian officials (one example that comes to mind is the United States sending former president Bill Clinton to negotiate the release of imprisoned US citizens Euna Lee and Laura Ling). Combining these factors with the highly inflammatory allegations leveled against Mr. Fahmy, Canada was ill-equipped to deal with this unfortunate situation, and he was the victim of a perfect storm of failures in international diplomacy. Although the tale of Mohamed Fahmy may not yet be over, there are some important lessons to take from this point forward. Maintaining channels of communication in international diplomacy should be emphasized, and contingency plans for these types of situations should always be made on a country-by-country basis. Canadian diplomacy has a rich history of peaceful resolution, and has enjoyed a sterling reputation in the past. These are not hallmarks of a long-bygone past, but they are the aspirations of future Canadian diplomacy. The Fahmy incident should serve as a solemn reminder of the consequences when these aspirations are not met. Next World, meet the love of my life!